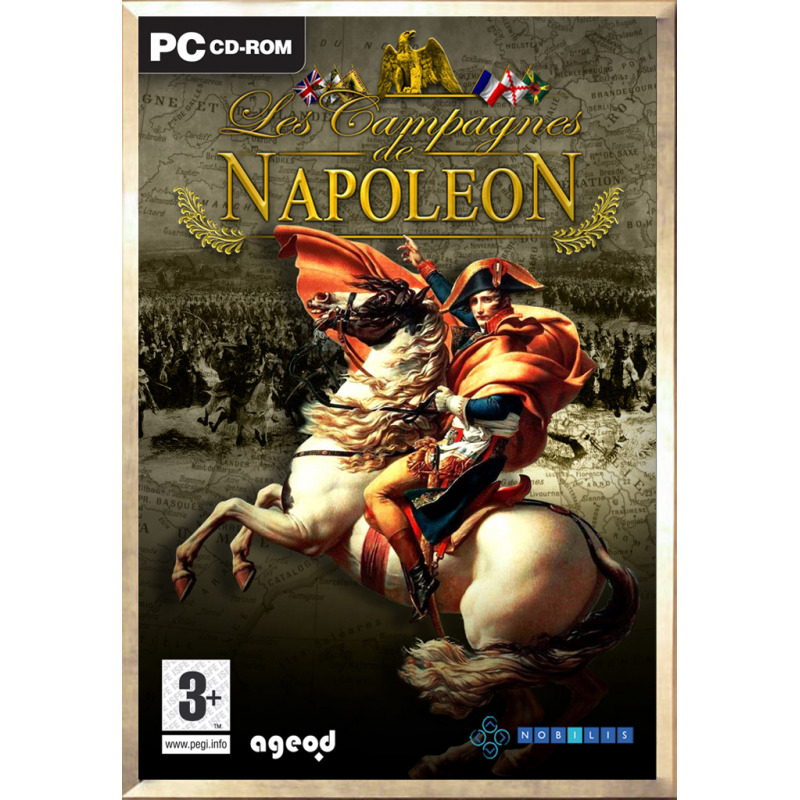 Relive the greatest Napoleonic battles and rewrite history! With Napoleon's Campaigns, relive finally in greater detail the famous battles (Austerlitz, Wagram, Borodino, Waterloo ...) that have bloodied Europe during the Napoleonic era (1805-1815). Walk in the footsteps of the Emperor or stop him by taking command of his opponents ... and rewrite the direst pages of history! - The largest Napoleonic Europe map ever made with many details from Scotland to Egypt and Portugal to the Urals. - 10 scenarios expanding over a period of a few months up to six years depending on the campaign. - 7 different playable nations and dozens of minor nations represented. - More than 1500 characters and historical leaders and over 1000 different units, from basic infantry to cavalry, and from warships to spies. - A simplified gameplay and usability without micro-management and focused on military operations, and an intuitive interface. - Multiplayer mode via the Internet and by e-mail.